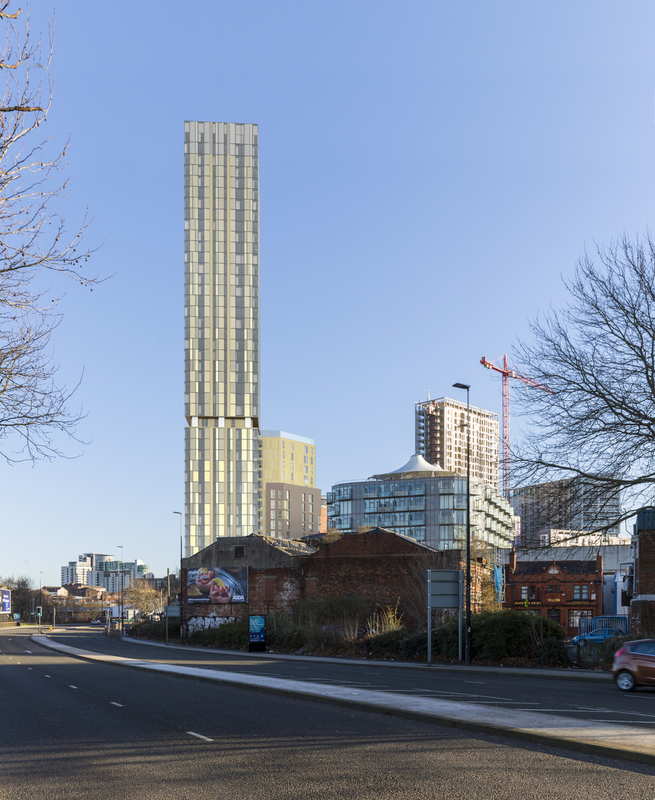 100 Greengate is the second of Renaker’s developments within the ‘Greengate’ regeneration area. 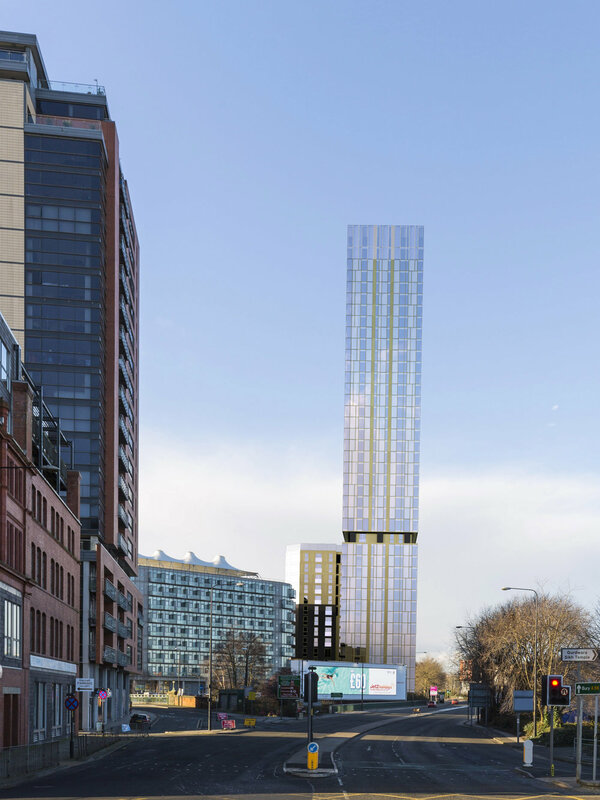 The scheme comprises a selection of one, two and three bedroom apartments totalling 349 units. The development reaches a towering 44 storeys and is the tallest building in the City. All apartments are designed to a high specification with contemporary Duravit bathrooms and bespoke kitchens. Facilities for residents include gym, 24/7 hotel style concierge, residents’ lounge and two landscaped gardens. 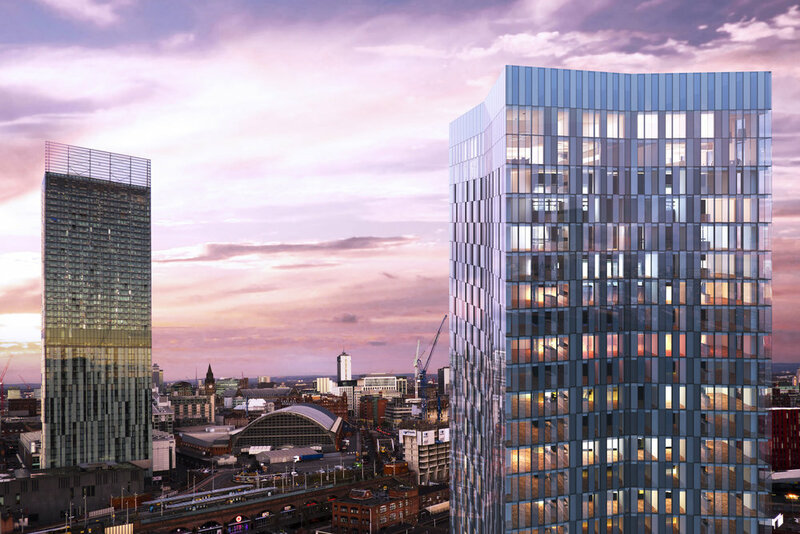 100 Greengate is located just a short walk from Manchester’s Harvey Nichols and the central retail district. The scheme completed in February 2019 and has been re-named ‘The Anaconda Cut’.